Falling behind on your mortgage is a scary proposition — and if you live in Utah, the rapid, court free foreclosure process may make it difficult to hold onto your home, your most valuable asset. Fortunately, there are plenty of options to explore that can allow you to avoid the heartache and financial damage caused by a foreclosure. Learning about your options can help you find the best solution for you and your family — and get a fresh financial start as well. This is the loan type you most likely think of when you hear the word “mortgage”. In a traditional fixed rate loan, your principal and interest payment remains the same over the course of the mortgage, though the escrow rises over time. Fixed rate mortgages can be for 10, 15, 30 or 40 years. With this loan type, the interest rate can vary over the life of the loan; your payments may go up or down each year based on current interest rates. An ARM is often considered a good option for consumers who need a short term solution or who plan to refinance after a year or two. There is an element of risk involved as interest rates – and therefore the mortgage payment – – can rise without warning. A hybrid ARM combines the best of both worlds, as the interest is generally fixed at the front end or first few years of the loan and adjustable toward the end of the loan. 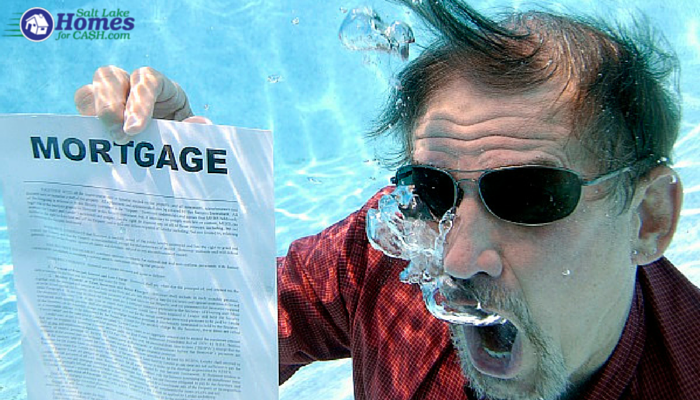 How Far Can You Fall Behind On Your Mortgage Before You Risk Foreclosure in Utah? The lender must notify the borrower that they intend to foreclose and sell the property; they will need to provide a notice of default. Once notified, the buyer has three months to refinance, sell or catch up on payments before the home is listed for sale. Deficient judgments are optional and require a separate lawsuit; if your lender sells your home for less than you owe after foreclosure, they can pursue you for the difference, but only by filing a lawsuit to do so; they must file suit within three months of the foreclosure. 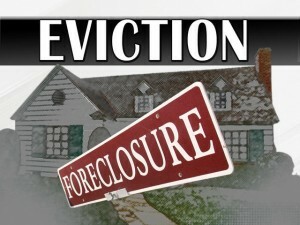 Once your Utah foreclosure takes place, you will have 10 days to vacate your home. I’m Behind on My Utah Home Mortgage, What Are My Options? Since Utah has such a rapid foreclosure process and your lender is not required to sue you in court, you must act quickly if you are behind. Calling your lender is the first step in the process and creating and keeping an open line of communication will help. The longer you wait to call your lender, the fewer options you will have. Depending on your lender, your loan type and your situation, you may qualify for one or more options. You can try one or more options at the same time to increase your chance of success; since Utah has such a short foreclosure timeline, it is imperative that you act quickly to save your home. HAMP is a federal program that can help you catch up and resume making payments on your home, if you meet the guidelines. You can apply for a HAMP modification if you have experienced financial hardship, opened your mortgage prior to 2009, are in danger of falling behind on payments or in danger of foreclosure and if your mortgage loan amount is under the $730,000 limit. While HAMP is a beneficial program and has helped many homeowners, the application and approval process can take some time; begin the HAMP process right away if you are concerned about foreclosure. If you are far behind and in danger of going into default, you have the option of getting reinstated by making a payment to catch up. If you can borrow from another source, this may work for you in lieu of a modification or repayment plan. You may be able to work with your lender to come up with a repayment plan to allow you to catch up. During repayment, you’ll pay your regular mortgage payment plus a portion of the amount you are behind, so your payments will increase for the next 3, 6 or 9 months. If you have the income to afford the temporarily higher payments and were behind because of a short term problem like a job loss, repayment is a great option for you. Pursuing a repayment plan while trying other options at the same time can help you find a solution quickly. Forbearance allows you to take a break from paying your mortgage, or forgives your already missed payments, allowing you to become current again. The obvious benefit is that you reset the clock and become current without paying any extra money. While forbearance is an ideal option for the homeowner, many lenders refuse to grant forbearance, opting instead for repayment or foreclosure. HAMP is just one of the mortgage modifications available to you. You can speak to your lender about your options, seek out other lenders to fully refinance your loan or look for modification programs that suit your personal history and credit profile. If you have an FHA loan you may be eligible for modification under this FDA specific loan. Other guaranteed loans, like the USDA loan may be modified as well. Chapter 13 bankruptcy helps stressed homeowners in two ways. When you file for bankruptcy protection, the pending sale of your home is cancelled and you have the time to make repayments. If you are sure you can afford the regular payments and intend to stay in your home, chapter 13 can be a good option, provided you file quickly. 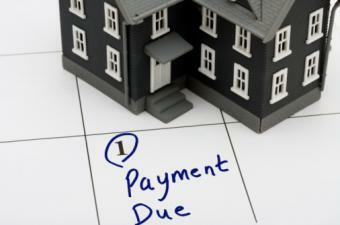 You may be able to work out a short sale with your lender if you owe more money than your home is worth. A short sale gives you the opportunity to sell your home for less than you owe and avid foreclosure. This is a good option if your home has dropped drastically in value and won’t sell for what you owe on it. Designed to rob you of your home’s equity, an unscrupulous lender “helps” you by offering you a loan that you can’t afford, then forecloses promptly when you miss a payment. A lender may offer you one appealing interest rate and loan payment – but when it is time to sign the papers, a much higher rate, huge added fees and bigger monthly payments are revealed. A person or individual pretends to take over your mortgage and then rent your home back to you – you’ll end up paying your monthly payment to the scammer and getting even further behind. An attorney or counselor offers to defend you in court and prolong your mortgage – for a monthly fee. You end up paying a hefty fee each month, and the counselor or legal team does nothing to repair your mortgage situation. If you are sure you can’t make your monthly payments, have decided you can’t afford your home, or simply want to avoid foreclosure, we will give you a fair cash offer for your home. A quick cash sale allows you to get rid of the stress you’ve been facing, eliminate your mortgage and free you from a tough situation. Unlike a traditional realtor, we don’t charge a commission – and we pay all closing costs. When you decide to sell your home for cash, you’ll be dealing with a local, Utah based company; we’ll handle all the paperwork and have everything you need sent to you. Since you are not dealing with a mortgage company or bank, we can help you resolve your mortgage and home issues with ease, allow you to get out from under an oppressive payment or loan and get the freedom you need to start over. If you are tired of struggling with high monthly payments and are ready to break free, we can help you get a fresh start. Contact Salt Lake Homes for Cash, and let us know what we can do for you. I am an investment agent here in the state of Utah. I help those that need help getting out of their homes to do so without getting burned by a company that won’t pay a decent amount of cash for their home. Please contact me if you have any questions.